How can you be the hardest working lazy person? 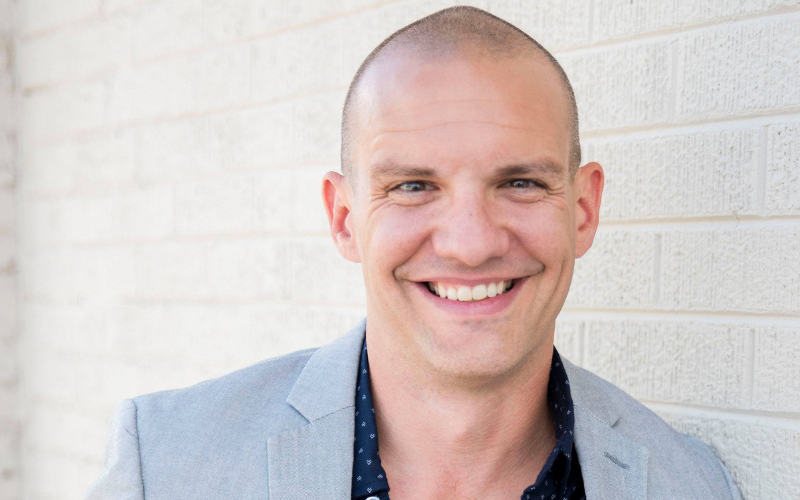 Dr. Tony Ebel shares the ‘hard-easy’ approach to life that has helped him build an incredible practice, coach with Epic Practice, and speak internationally while living a happy healthy life with his wife and 4 children. We discussed 3 ways to deal with adversity, how to develop positive relationships with Associates in practice, and the power of peditaric care to grow your practice. Dr. Ebel also talked about why it’s important to strive for excellence instead of perfection, why he doesn’t believe willpower works, and how his definition of success has evolved with his years in practice. Dr. Tony Ebel is an epic husband, father, and family man! With his first daughter being born 2 weeks before graduating from chiropractic school, a family-first focus is all he’s ever known. He applies exactly that to practice, having had a massive Family Focus to his practice from Day One, and that has become the work he is best known for – making massive impact in the Pediatric Chiropractic profession, and helping lead it and grow it for more influence and impact. He runs a 5-doctor, 65% pediatric, 100% cash and 100% crazy fun, family wellness practice in Crystal Lake, Illinois as his “main job” – and then also has spent the last 7 years teaching and training other Pediatric and Family Chiropractors through his work with Epic, and specifically the world’s largest online pediatric training program, Epic Pediatrics. His wife Kristina helps run the practice along side Dr. Tony, and they now have 4 beautiful little ones – Addison, Oliver, Alaina, and Emilia. Oliver is their ‘Chiro Miracle Man’ who was born early and with a traumatic birth that according to the medical team who first saved his life, meant he was “guaranteed” to live a life full of seizures, autism, cerebral palsy type challenges if he made it all. Thanks to Pediatric Chiropractic, Oliver is now a thriving, smiling, crazy healthy 9 year old beautiful little boy. So while he was already on track with his pediatric obsession and focus, from the day Oliver was born to his last, the only thing Dr. Tony focuses on is making a massive shift in society where Pediatric Chiropractic will be the FIRST choice for health care in families everywhere, not the last.